Copyright © 2019 by Mark Yale Harris. 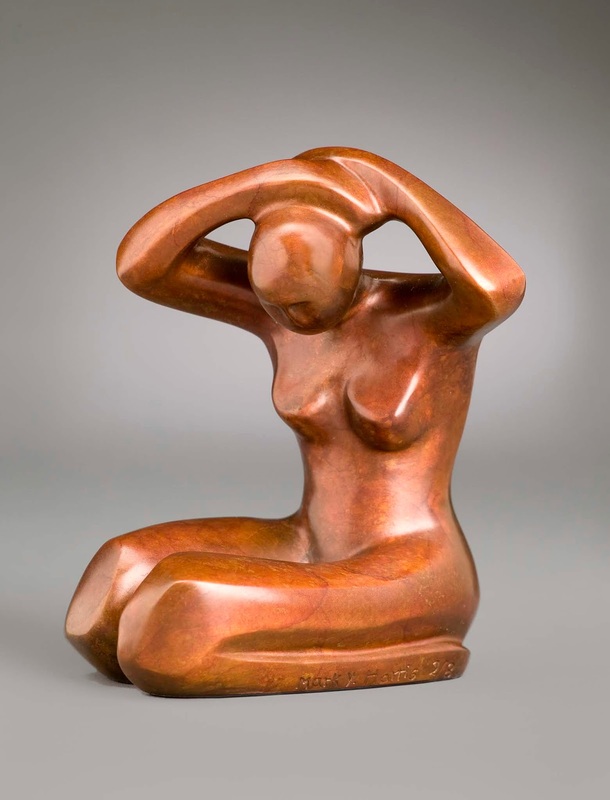 Mark Yale Harris, a New Yorker, has created an evolving body of work in stone and bronze, now featured in public collections, museums and galleries worldwide, including: Hilton Hotels; Royal Academy of London; Marin MOCA; Four Seasons Hotels and the Open Air Museum - Ube, Japan. The purpose of his artwork is to invoke an awakening of the sensual. Stimulating a perceptual, internal, and intellectual response for the viewer: a visual that speaks to life’s experiences. Creating symbols of universal connection underscores the relationship that one has to another and to nature. Art conveys his nonverbal view of life. An ongoing portrayal of himself, his behavior, adventure, exploration, risk taking, and non-acceptance of convention and the status quo. Constantly in search of the new and different, he is fascinated with the unconventional. Life has a hard, aggressive side, as does much of his work, represented by rigid, angular lines. However, the soft side is also apparent, visible as curves and soft forms. Using the invaluable experience of the mentorship of Bill Prokopiof and Doug Hyde, along with his own vision, he has created an evolving body of work in alabaster, marble, limestone, and bronze. Combining different elements, he brings forth a duality in the sculptures that he creates. and snowy epaulets. No, they won’t be stilled! for something like love but not quite. they must scale toward twilight. for something like first love, but not quite. Copyright © 2019 by Raymond Luczak. Your kiss is a pale wind. Raymond Luczak is the author and editor of 22 books. Recent titles include Flannelwood (Red Hen Press, 2019) and Lovejets: Queer Male Poets on 200 Years of Walt Whitman (Squares & Rebels, 2019). He lives in Minneapolis, Minnesota. Visit: raymondluczak.com. A Cajun card game similar to Spades. our own krewe for Mardi Gras. the one for hauling slaughtered pigs. and Charlie’ll wear a jester hat and drive. and Celie’s playing Pepin in checkers. Celie’s watching they don’t cheat me. if and when we get in trouble. Pepin says two more hands and he’s shutting down. that’s something we get here early on. —Alcide Blind Uncle Gaspard (1878 or 1880-1937) was a Cajun musician who recorded sixteen songs in 1929 with Delma Lachney, a left-handed fiddle player. Much of Gaspard’s life remains a mystery. Copyright © 2019 by Kevin A. McGowan. and hickory chips and fresh cedar. and I candlewax the back of my guitar neck. leaving me silent and electric. and the young priest-in-training left for Mexico. and Sis told him not to badmouth God. Amadie started his pirogue ark Ash Wednesday. our whole family and then some. for his four cow and five pigs. with water four foot deep. We pulled away in our pirogue heading west. Kevin A. McGowan now works for the VA, after teaching at Remington College in Lafayette, Louisiana for twenty years. He has two chapbooks, Rubric and No Passengers. He plays the guitar left-handed and is working on some songs. in an open fire near the tent. in the center on the Bedouin mat. me as the lone woman in the room. range shrinking to a ridiculous size 6.
hands plunge into the communal plates? my lips, forsaking their hospitality? honestly, the year doesn’t matter. You were in my life and then you were gone. into another unsettled day in the Negev. Copyright © 2019 by Jo-Ann Mort. *Land Day is recognized by the Arab citizens of Israel each year in March, as a day of protest for the government taking their land. Sometimes, the demonstrations become violent. Rahat is the largest Bedouin city in Israel. Jo-Ann Mort’s poems have appeared recently in Plume and Stand. Having returned to poetry after a 22 year hiatus, she is also a journalist and co-author of Our Hearts Invented A Place: Can Kibbutzim Survive in Today’s Israel (Cornell U Press). She lives in Park Slope, Brooklyn. —On October 20, 2018, about 5,000 Central Americans crossed the border between the Honduras and Mexico, intending to form a caravan that would head some 3972 kilometers to the border between Mexico and the US. Two months later, they were stranded in camps in Mexico near the United States border, thwarted in their attempt to enter the U.S. Copyright © 2019 by Andrew Oram. Could a skein of junctions trucks trains passports patents and pilgrims cohere a continent? over the ruins hushed just yesterday? Andrew Oram is an editor at O’Reilly Media, a highly respected book publisher and technology information provider. He currently specializes in open source, software engineering, and health IT, but his editorial output has ranged from a legal guide covering intellectual property to a graphic novel about teenage hackers. He also writes often on policy issues related to the Internet and on trends affecting technical innovation and its effects on society. Print publications where his work has appeared include The Economist, Communications of the ACM, Copyright World, the Journal of Information Technology & Politics, Vanguardia Dossier, and Internet Law and Business.